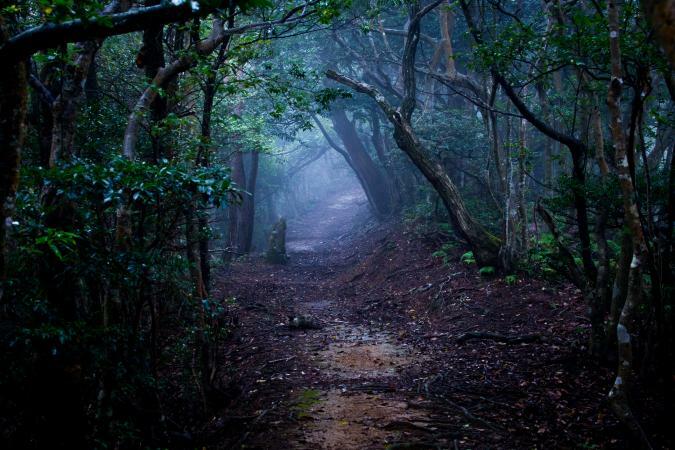 Urban legends in Japan have struck fear in the hearts of the Japanese people for centuries. Exploring these urban legends reveals creepy tales of some of the scariest ghost stories in Japan. Many of these dark urban legends passed from generation to generation intend to scare or teach moral lessons to Japanese children. Japan's urban legends, like urban legends from other cultures, reflect the beliefs and fears of the society. You can learn much about what people in Japan fear and the lessons they have to teach by studying their myths, urban legends, and folklore. The Okiku Doll is a small, kimono-clad doll that's named after the girl who once played with it. Legend has it that the doll is possessed by the spirit of the girl. Some have even claimed that the doll's hair continues to grow, whenever it is cut. A scientific examination of the hair was supposedly conducted, and it was concluded that the doll's hair is that of a young girl. Nobody has ever been able to explain the doll's unnatural hair growth, which supposedly continues to grow to this day. All across Japan in the country's schools, there's said to be a ghost that resides in the girls' bathrooms. This ghost of a young girl, called Hanako-san, is typically said to inhabit the third stall in the bathroom on the third floor. She is most commonly described as having bobbed hair and wearing a red skirt. The legend says that she can be conjured by knocking on the door of her stall three times, calling her name and asking her, "Are you there, Hanako-san?" to which she reportedly replies, "Yes, I'm here." In some cases, it's said that if you open the door and see her, she will drag you into the toilet. There are hundreds of different variations of who the girl is and why she haunts the school bathroom. One of the scariest Japanese urban legends is that of a horrific story called Cow Head. The tale is supposedly so terrifying that many people die of fright after hearing it. The Japanese say that the story originated in the seventeenth century, but to this day, the actual origin of the story is a mystery. In one account, a school teacher and his unruly class were traveling by bus while on a school trip. To calm down his class, the teacher began telling them scary stories. When he began telling a story called Cow Head, the students started screaming and begging him to stop, but by this time the teacher was in a trance and was unable to stop telling the story. When he awoke from his trance-like state, the busload of children had fainted and were foaming at the mouth, and the driver was slumped over in his seat, shivering and sweating. Rumors state that upon hearing the story, the listeners are overcome with fear so great that they tremble violently for days until they finally die from fright. Throughout Japan, there are hundreds of large-scale construction projects that reputedly were built with human bodies serving as the support pillars. Legend says that the ancient Japanese culture believed that sealing people in as part of the construction was not only an offering to the gods, but also resulted in a stronger and more stable structure. 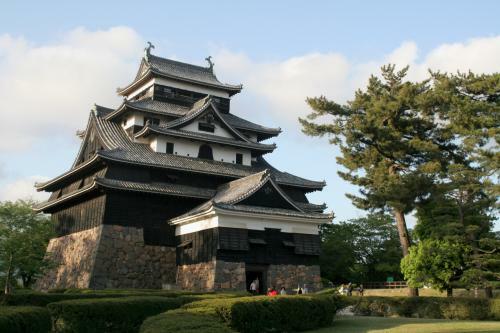 One of the most famous buildings reported to have this ghastly architectural feature is Matsue Castle. Another one is the Jamon Tunnel that an earthquake damaged in 1968. In that part of the tunnel, repair workers found numerous upright skeletons within the foundation walls. To this day, train conductors report that the tunnel is haunted by the ghosts of those buried within its walls. Is Matsue Castle built with pillars made from human bodies? 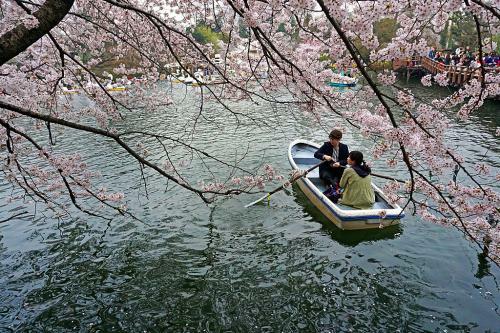 In western Tokyo, there's a pond in Inokashira Park that's notorious for causing couples to split-up after they take a rowboat out onto its waters. It's said that there is a shrine dedicated to Benzaiten, the goddess of all things that flow, located near the pond and that she is extremely jealous and vengeful. When the goddess sees happy couples in the rowboat, she becomes irate and forces them apart. Her curse can be stopped if the couple pays a visit to her shrine immediately after their boat ride. This unexplained curse also haunts many other ponds and lakes throughout Japan. Japanese urban legends are a popular part of the country's culture. In some cases, the belief in these horrific tales is so powerful that it actually affects how the Japanese work, play and live. While evidence is almost always scant, you can't help but be mesmerized by these ancient stories of the macabre that still haunt one of the most populated countries in the world.